This Midsleeper combination incorporates a new rounded Pull Out Desk and features rounded headboards and 3 Drawer Chest with new sleek lines and push-to-open drawers. Pull Out Desk and Chest produced in hardwearing MDF. 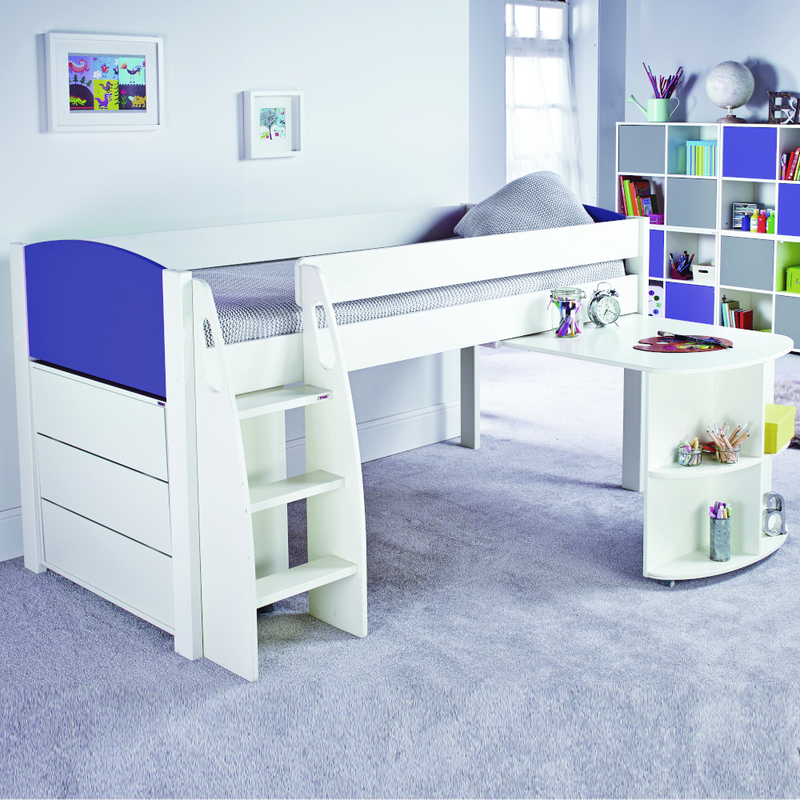 Includes Uno S Midsleeper with Pull Out Desk and 3 Drawer Chest. Smooth running metal drawer runners. 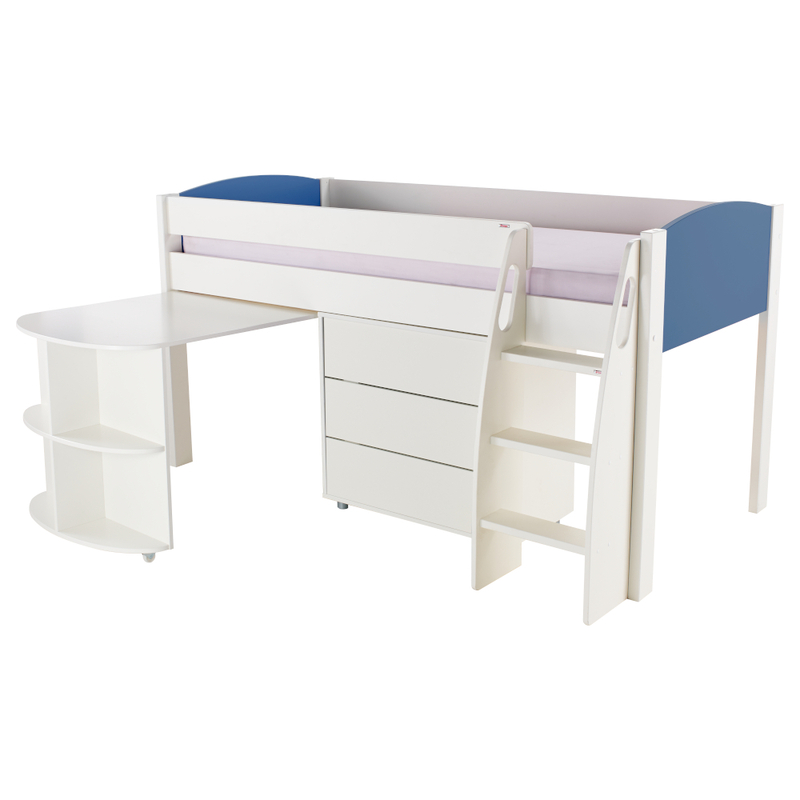 The Chest can be positioned either in the end of the bed or next to the Pull Out Desk.